ThemeJunkie has announced the latest theme “Boxes”. 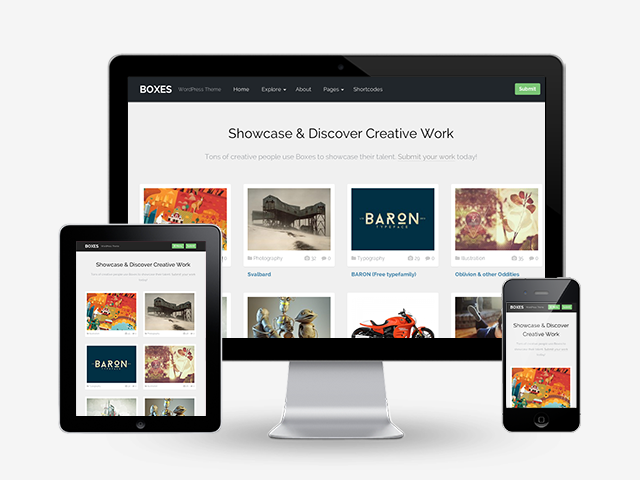 Boxes is a grid-based, minimalistic and fully responsive WordPress Theme (try resizing your browser). This theme is suitable for creatives, bloggers, and people who want to setup online portfolio, gallery or magazine websites. Hey Aktar, Boxes is very nice theme dude, definitely one can try it. The theme looks really awesome and elegant, i really love themejunkie themes. But currently iam using genesis but i'm gonna go for this one soon. Boxes theme of wordpress is freaking awesome. I love to use it in my blogging sites.